Claudia Hernandez grew up with little money, living in a cramped room with her immigrant family of six. Now a college graduate and U.S. citizen, she works at one of the most influential tech companies in the world and feels more financially stable than ever. Hernandez, who grew up in San Jose, says it took a lot of effort to finish college and advance her career. But her success was also possible because of financial aid she received from organizations such as the Hispanic Scholarship Fund. "I'm a product of all that help from those organizations," said 26-year-old Hernandez, a project manager at Facebook. "That's why I want to give back now because I know that so many people need it." About three years ago, Hernandez joined more than a dozen Latina professionals in San Francisco with a similar motivation: to give back to their community. Each donor contributes over $1,000 a year to a giving circle, a form of charitable giving that has grown significantly nationwide. 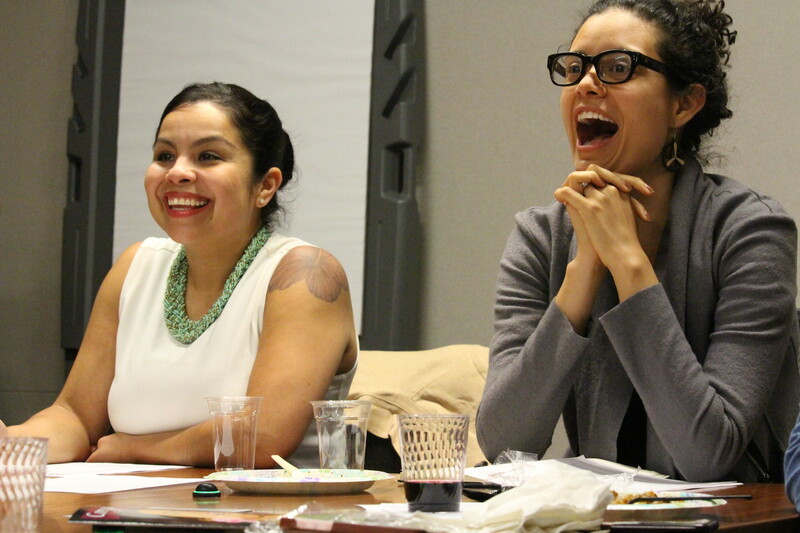 The group was organized by the Latino Community Foundation, which seeks to increase investments in Latino-led nonprofits. Compared with other types of philanthropy, the giving circle is a more democratic, fun and direct type of giving for people who "don't make millions of dollars but can contribute something meaningful for them," said Ana Díaz Hernandez, 28, who grew up in rural Georgia. "The term philanthropist is really loaded and a lot of people associate it with really high amounts of wealth," Díaz Hernandez said. "What makes this model more compelling is that it feels much closer to the ground, and the organizations we support here are often deemed as too small by other donors and foundations." 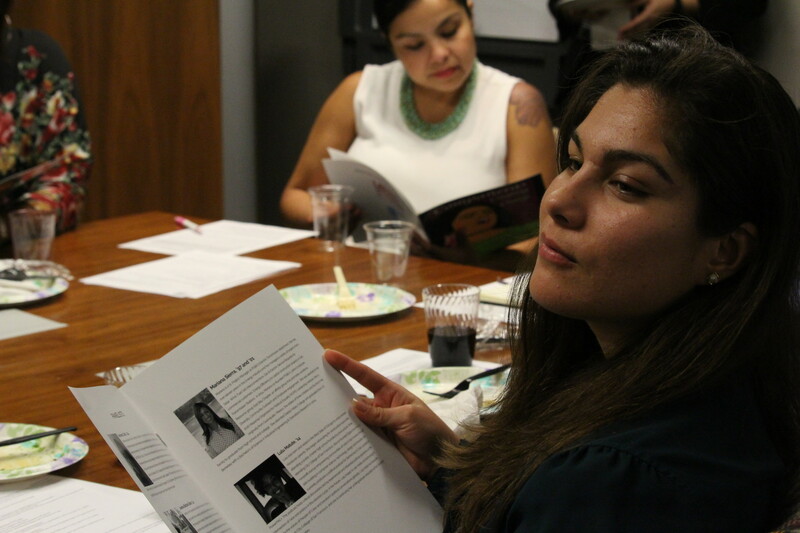 The group's collective donations go to local Latino-led nonprofits supporting girls and women of color, a focus that the giving circle members decided. They meet once a year to listen to funding pitches directly from nonprofits, and vote how much to invest in them. 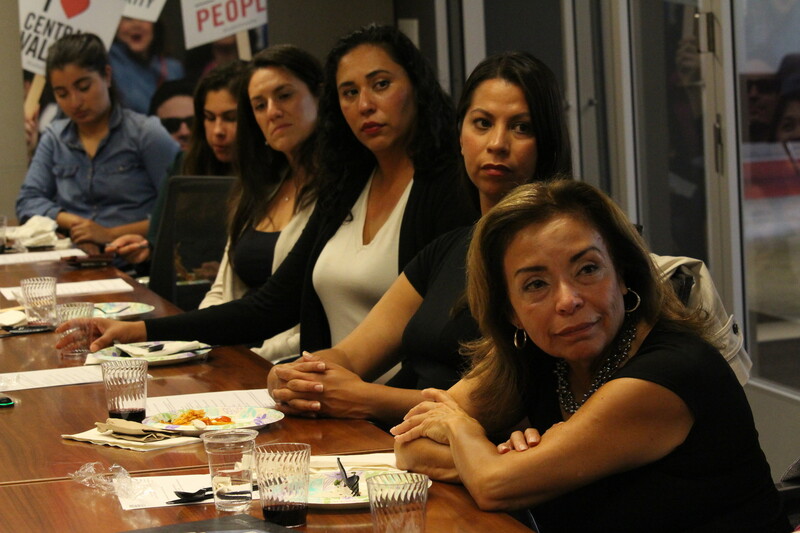 Jillian Picaso (center of photo) urges donors to support the Chicana/Latina Foundation Leadership Institute, as Olga Talamante and Stephanie Segovia (standing far left) look on in San Francisco on Sept. 14, 2017. "It changed my life," said Picaso, an alumna of the institute. "It’s incredible to feel power from a group of women that look just like you." At a recent meeting, the donors -- bankers, teachers, researchers and other working women -- sat attentively around a long wooden table, with red wine and food at hand. Anayvette Martinez, a full-time community organizer, told them she started her scouting organization as a "passion project" because of her daughter, Lupita. "She has been attending marches before she could walk, and so I started to think, 'What if there existed a scouting troop that centered girls of color and their identity?'" said Martinez, who co-founded Radical Monarchs, where girls earn badges based on social justice issues. The badges have names like Radical Entrepreneurship, where girls learn how to start a business, and Radical Bodies, where they take a self-defense class. That was Lupita's favorite. The sixth-grader stood next to her mother wearing a brown beret, answering questions from donors. "The self-defense class was really fun," she said, to nods and smiles from the giving circle members. "We also learned about consent, and we had some folks come in and talk about disability justice, what it means and how you can support it." Martinez has been running the organization for two years as an unpaid volunteer. There's a lot of interest from more parents and girls, she said, but the group needs money to continue and expand. Janeth Medina, an analyst for Bank of the West, says her upbringing inspired her to join the giving circle three years ago. "I would have never thought I'd be a professional in corporate moving up those ranks as an undocumented woman of color," said Medina, 26, whose parents were farmworkers in Bakersfield. "But somebody believed in me." While many small nonprofits struggle with a lack of resources, organizations serving a predominantly Latino population receive only a tiny portion of the billions of dollars that foundations grant each year in the U.S., according to various reports that track philanthropic giving. Foundations are not required to report grants by the ethnicity of beneficiaries, so the exact proportion of philanthropic dollars going to organizations serving Latinos is hard to nail down. Still, an analysis of 1,000 foundations by the research nonprofit Foundation Center estimates that out of $24 billion in U.S.-based grants, only 1.2 percent was identified as serving Latinos in 2014. Reports by the Greenlining Institute, a public policy advocacy group, and the D5 Coalition, which seeks to increase diversity in philanthropy, found between 1 and 2 percent of foundation dollars go specifically toward helping Latinos. That's a gap Leticia Dorado, a middle school social studies teacher, is trying to help fill with her own funds. "It's really empowering when you see a small organization that might not have the capital to do everything they want, but what we are able to give them goes such a long way for them," Dorado said. She traces giving to her roots. "My abuelita was a giver. My grandma would feed everyone in the neighborhood," said Dorado, who lives in San Francisco. "Our families are always giving and not limited even when we are very limited on resources at times, from income, from housing, from food." Many immigrant communities have a rich culture of giving, but they might not call it "philanthropy," said Masha Chernyak, with the Latino Community Foundation. Among Latinos, "there is an education component that needs to happen to say you can give to your local nonprofit. This is how it functions. This is how you can help," Chernyak said. 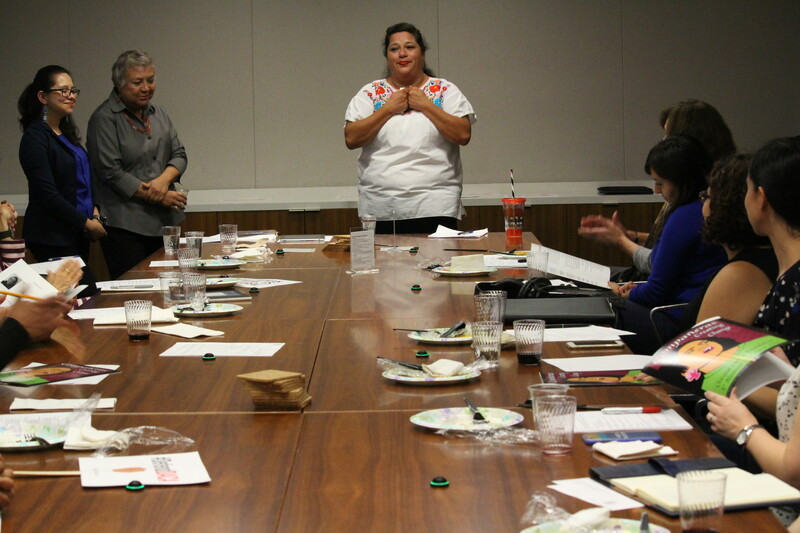 Chernyak helped set up the Latina giving circle in San Francisco in 2012. Since then, over 440 men and women have joined giving circles with the Latino Community Foundation in Modesto, Fresno, Los Angeles and other parts of the state, she said. "Who are we to ask others to invest in our community if we are not going to invest ourselves?" Chernyak said. Nationwide, the number of giving circles and other forms of collective giving nearly tripled in the last decade, with grants totaling up to $1.3 billion, according to a recent report financed in part by the Bill & Melinda Gates Foundation. The study found most of those donations -- produced by a majority of women -- remain largely local and engage more diverse grant makers than when compared to foundation leaders. About 92 percent of presidents and CEOs at over 960 foundations are white, according to a report by the D5 Coalition. At the giving circle meeting in San Francisco, Chernyak wrote on a white board how much money the women voted to give four Bay Area nonprofits that pitched them for funds. After their votes were finalized, the women cheered and clapped. Radical Monarchs received a grant of $10,000. The other three groups split $36,000. Claudia Hernandez, the young tech professional, said she came out of the meeting feeling inspired. "I definitely would say I'm a philanthropist now," Hernandez said. "I've been able to gain so much amazing knowledge about how to invest my money in issues that I really care about."